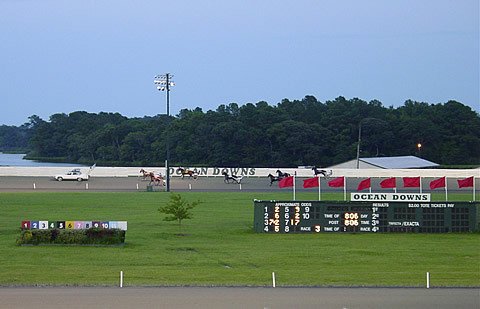 Ocean Downs Racetrack, located in the heart of Maryland's resort community, offers the thrill of live Harness racing. Ocean Downs continues to be in the top ten percent of all U.S. Harness tracks in attendance. Providing a carnival-like atmosphere that caters to quality and affordable entertainment, every season is filled with 40 nights of prize drawings, kids games, fireworks, and giveaways.